I remember the lavender which used to line our front driveway – the strong fragrance that would engulf you as soon as you opened the front door. I didn’t always appreciate its perfume as a child, but lavender was one flower that made a lasting impression on me (along with soursobs which I used to munch like any other Adelaidian kid :P). I never thought much more about lavender, though I would occasionally see it in in gardens, or shops, or photos. However, recently this flower sparked my interest again. First the colour lavender, named for the colour of these flowers; then, its history and symbolism. Lavender, I discovered, has been used by many civilisations through the ages. 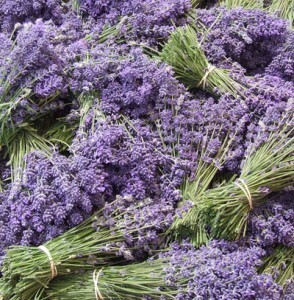 The Romans named it lavender, its basis being from the Latin verb “lavare”, meaning “to wash”. It was commonly placed to scent the bathhouses so those who washed there would emerge clean, and smelling like lavender. In the middle ages, lavender was used to scent newly washed clothes as they were left to dry over the plants. The Greeks called it “nard”, or “nardus”, naming it for the city of Naarda in Syria. 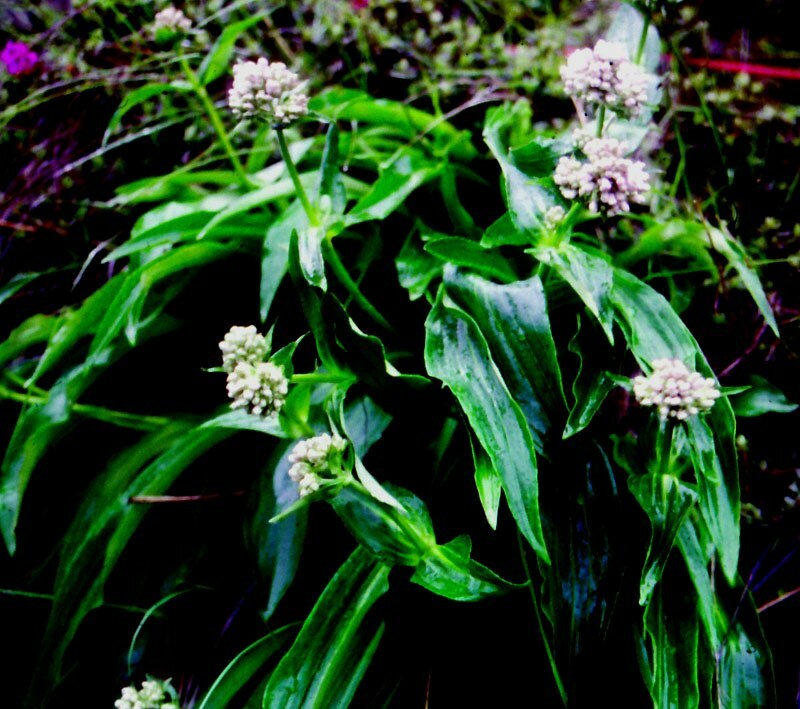 In India, it could often be referred to as “spikenard” for the shape of its flowers. There is some confusion about whether lavender is the same as spikenard, since both can be referred to as “nard” and are thought to have a similar smell (though I have never smelt spikenard). From my research, I believe that they are different flowers, though similar in many ways – smell, appearance, uses. Spikenard (Nardostachys grandiflora) grows in the Himalayas of China, India and Nepal, and has pinkish, bell-shaped flowers. Lavender (Lavandula) has flowers which have a more elongated shape and a light purple-blue colour. In any case, it seems both flowers and the scent they produced were held in high regard and thought to be very precious in ancient times. It is thought that over time, “nard” became the name used in literature for any costly and extravagant perfume. Lavender has been used by kings, queens, priests, soldiers and ordinary civilians in a variety of cultures and countries. It was used in preparation of the temple incense, in cosmetics, perfumes, medicines. The scent of lavender is associated with cleanliness and purity. It is also associated with intimacy and love. In the Victorian era, young women would carry small bags in their cleavage as the scent was thought to be attractive. There is also the tradition of a bride anointing her husband with nard in the marriage bed as a symbol of her devotion and submission to Him. Nard and spikenard, possibly lavender is mentioned in a few Bible passages. As I researched lavender, I realised I had never really thought to research and imagine the scent and appearance of some of the herbs, spices, and flowers mentioned in the Bible. Knowing more about these flowers, their history, and their scent gave me insight and revelation into some of these passages. Nard is mentioned in the gospels, in the account of Mary anointing the feet of Jesus with this costly oil. It is a symbol of extravagant worship, giving up all for Christ, and recognising the worth, love and salvation would in Him. Nard is also mentioned in Song of Songs. In this short phrase, there is so much that can be said of how Jesus sees us, how we see ourselves in Him. For example, I am reminded of how Jesus has washed us clean with His blood and calls us pure and blameless. He sees us as precious and lovely. I remember how Jesus sees our heart, our devotion and our love. Despite our failings, our weaknesses, our humanity, He looks into our heart and sees the fruit of sincere devotion. Knowledge is one thing, but experience is greater – to see Christ in all things and to understand His heart and His character more and more. “The fear of the Lord is the beginning of wisdom, and knowledge of the Holy One is understanding.” [Proverbs 9:10]. Everything in this world – all that is seen and unseen has been created in Christ and finds its purpose in Him. May the Lord give you the Spirit of wisdom and revelation, so that you may know him better!